How do I use the Sabbath option available on my Electric Range(NE59K3310SS)? The Sabbath option is for use on the Jewish Holidays and Sabbath. The Sabbath feature can only be used in Bake mode. For further assistance guidelines on usage, please visit http://www.star-k.org. 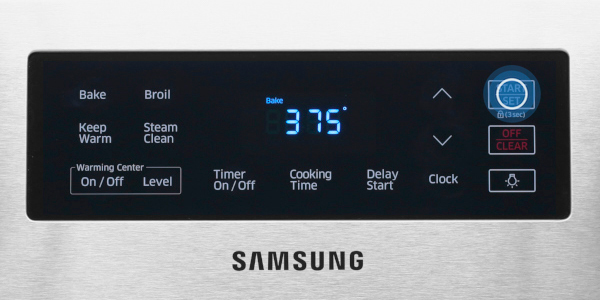 • The oven temperature can be set higher or lower after you have set this option. • The display doesn’t change and no beep sounds when you change the temperature. • Once the oven is properly set for baking with the Sabbath option active, the oven will remain continuously on until the Sabbath feature is cancelled. This will override the factory preset 12 hour energy saving feature. • If the oven light is needed during the Sabbath, press OVEN LIGHT before activating the Sabbath feature. Once the oven light is turned on and the Sabbath option is active, the oven light will remain on until the Sabbath option is turned off. • If you want the oven light off, be sure to turn it off before activating the Sabbath feature. • Do not use the surface cooktop when the Sabbath option is on. 1. Press Bake to start the Sabbath feature. 2. Use the Arrows (▲ or ▼) to set the temperature. The default temperature is 350°F. For this example, 375°F is selected. 3. Press START/SET. 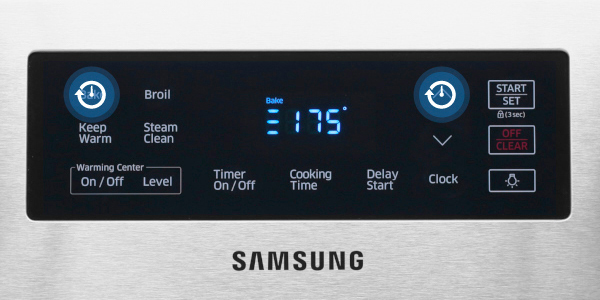 The temperature display will start to change once the oven temperature reaches 175°F. 4. Press Bake and ▲ at the same time for 3 seconds. 5. Once SAb appears in the display, the oven will not beep or display any further changes. You may change the oven temperature once baking has started. 6. You can turn the oven off at any time by pressing OFF/CLEAR button. This will turn only the oven off. Note: If you want to deactivate the Sabbath feature, hold down Bake and ▲ at the same time for 3 seconds. Sab will disappear from the display. • Do not to attempt to activate any other program feature except Bake while the Sabbath feature is active. ONLY the following key pads will function correctly with the Sabbath feature on: ▲, ▼, Bake, START/SET and OFF/CLEAR. All other keypads should not be used once the Sabbath feature is activated. • You can change the oven temperature, but the display will not change and tones will not sound when a change occurs. The oven temperature adjustment feature should be used only on Jewish holidays. After changing the temperature while the unit is in Sabbath mode, there is a 15 second delay before the unit recognizes the change. • You can set the Cook time function before activating the Sabbath feature. 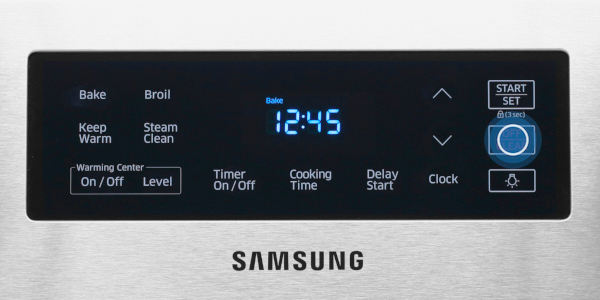 • Should you experience a power failure or interruption, the oven will shut off. When power is returned, the oven will not turn back on automatically. SAb will be displayed in the oven control display, but the oven will not operate. Food may be safely removed from the oven while it is still in the Sabbath mode, however the oven cannot be turned back on until after the Sabbath/Holidays. After the Sabbath observance, turn OFF the Sabbath mode. Press and hold both Bake and ▲ for at least 3 seconds simultaneously to turn the Sabbath mode off. The oven may then be used with all normal functions. • Do not open the oven door or change the oven temperature for about 30 minutes after you have started Sabbath mode to allow the oven to reach the set temperature. Note that, for best performance, the oven fan operates only when the oven temperature is rising.